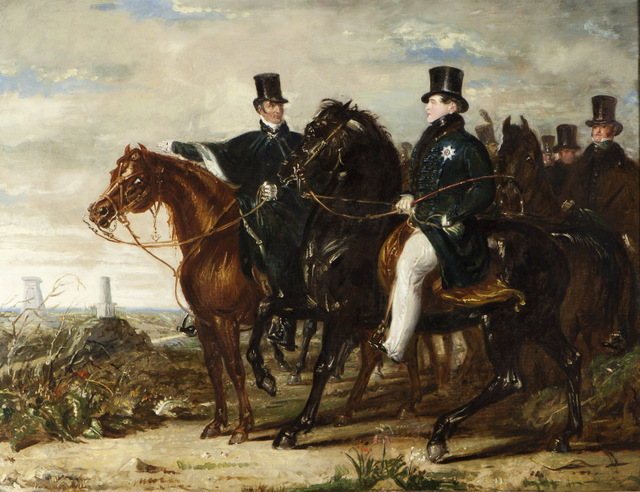 This year is the 200th anniversary of the Battle of Waterloo, when the English and allied forces led by the Duke of Wellington defeated Napoleon, with the aid of the Prussian army. 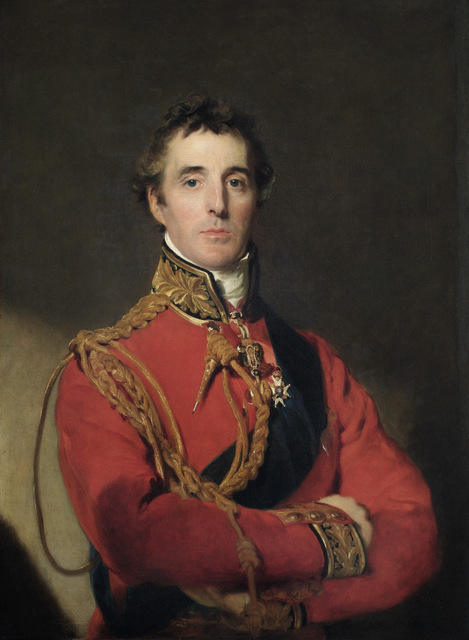 So it's a fitting time to dedicate an exhibition to the Iron Duke, with a selection of paintings, prints and artifacts. 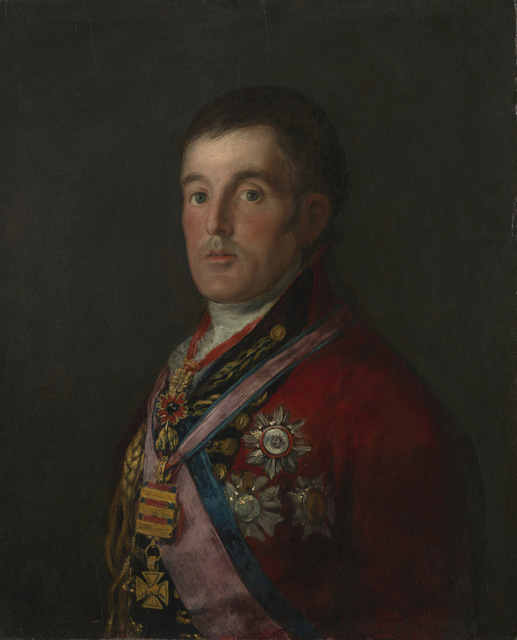 The difficulty with depictions of Wellington is most early portraits are in the traditional yet unimaginative heroic pose, the one exception being a portrait by Goya where there is clearly doubt in his eyes. It's only in his later career as a politician where he was viciously lampooned for his support of Catholic emancipation. This is not a very balanced exhibition as it doesn't explore his opponents: both Tipu Sultan and Napoleon only get one portrait each and the view of Wellington from their perspective isn't explored. The battlefield scenes are exciting as British and French troops fight in close combat, or can be seen in mid-battle in a large landscape painting. The lengthy depiction of his funeral procession is also impressive, but the other works in this exhibition are nowhere near as engaging. 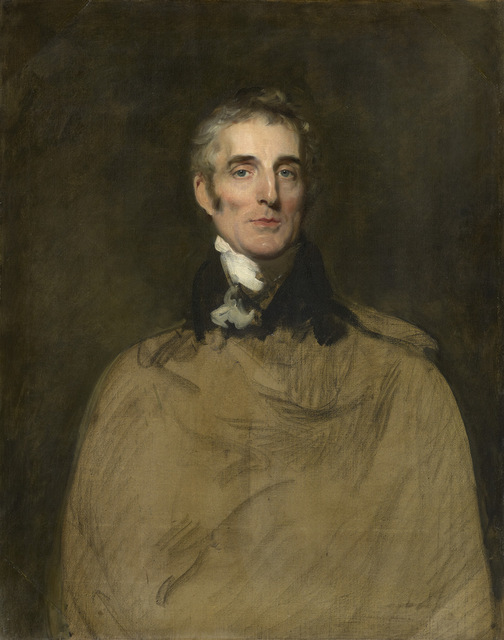 From an artworks perspective there are only a few highlights and as for the historical exploration of Wellington's life, it never seems well rounded enough. The saving grace for this exhibition is that it's free to enter. 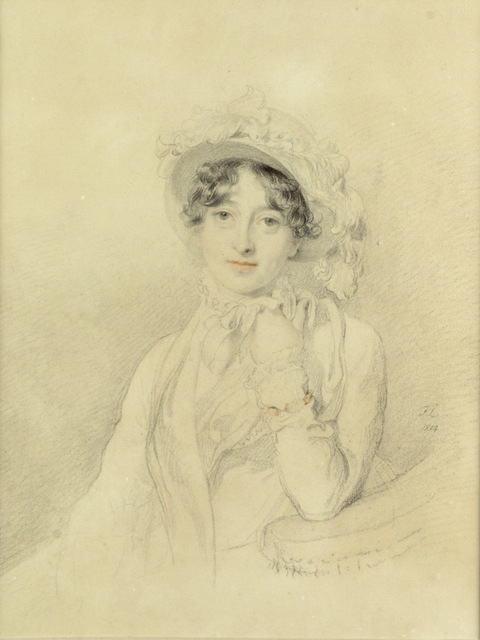 Wellington: Triumphs, Politics and Passions is on at National Portrait Gallery until 7 June. Entrance is free. Also on at National Portrait Gallery are the portraits by Sargent and next door at the National Gallery is the excellent Inventing Impressionism exhibition.